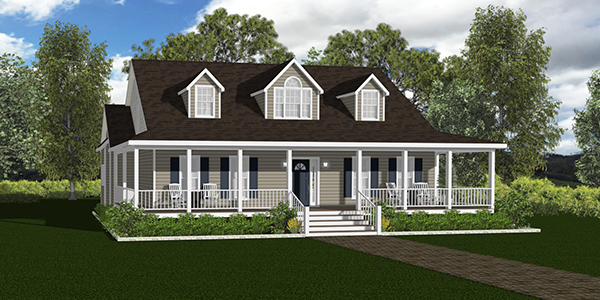 Ranch home plans represent a very popular building style. Home sizes range from 1,100 square feet to over 2,200 square feet. Ranch homes are one-story structures with available porches and decks. They are easy to customize and there is a large selection of floor plans. 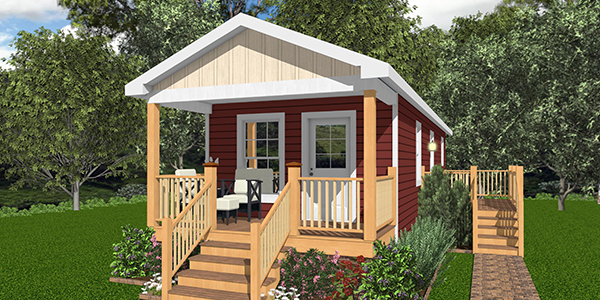 Tiny Cottages are the perfect size for those who want to down size and live a simpler and more affordable life style or they can make a perfect mother-in-law suit/guest house. Our Tiny Cottages are unique, because we offer a long list of options and they can be customized. They are also built on foundation so they are built to last. 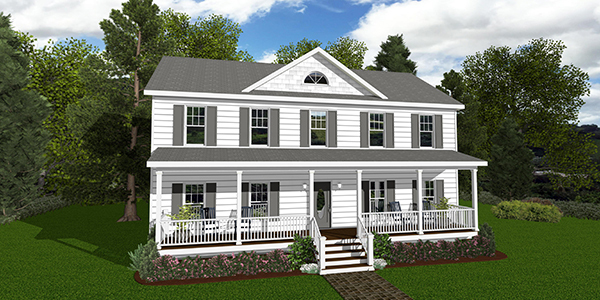 Cape home plans have the traditional "low country" look, which is so popular here in the south. Home sizes range from 1,600 square feet to over 3,000 square feet. 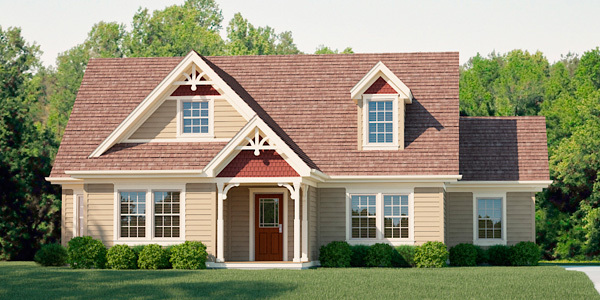 Ranch plans easily convert to the Cape style. The second level can be finished during construction or left as room to grow. 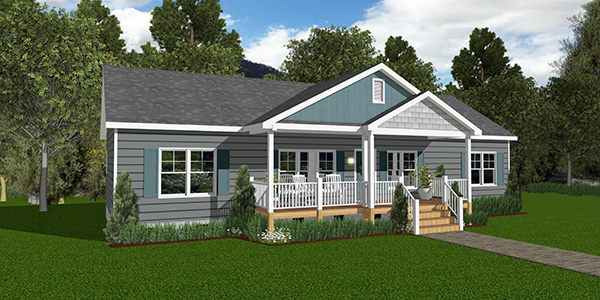 "T"-Ranch plans have a unique exterior elevation. Home sizes range from 1,500 square feet to almost 3,000 square feet. This style offers distinctive floor plan possibilities from the "T" layout. Bonus Ranch plans start at 2,500 square feet. There is a wide variety of exterior elevation and floor plans due to their size and structure. All plans are two-story. The second level can be finished during construtcion or left as room to grow. Two Story plans come in various shapes and sizes. They offer traditional appeal and allow for two full levels plus an attic. Home sizes range from 1,800 square feet to over 4,000 square feet. Both stories are finished. 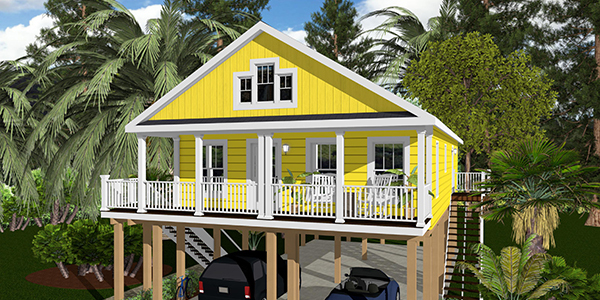 All of our home styles can be built on a piling foundation as a "beach home". Floor plans are selected to maximize your lot size and views. Comsideration is given to lot dimensions, setbacks, flood zone adn required building height. 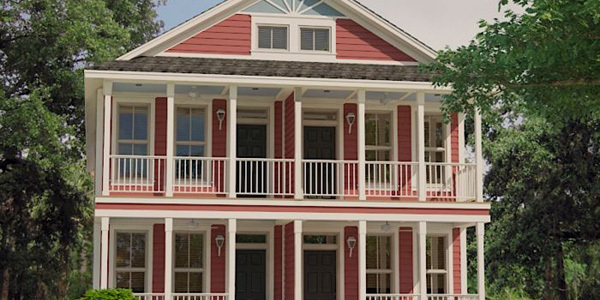 Popular features include covered porches, screend porches, sun decks, dry entry stairs, and piling levels that have showers, faucets, outlets, and parking space. 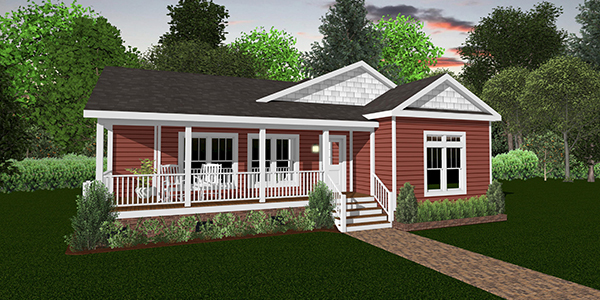 Modular construction is an affordable and efficient way to build your duplex or townhome. Contact us about these and many other great designs.